Your kitchen is filled with the people you love, so choose lighting you'll love for the heart of your home. The most used room in your home is most likely your kitchen. It's where friends and family come together for meals, conversation and homework. The kitchen is therefore, most likely the room where you've splurged on the details, and your lighting should be part of that investment. You selected the very best contractor, plumber and electrician, so be sure to choose the very best lighting. Boyd Lighting is the best with high quality, handmade fixtures and superior customer service. The heart of your home deserves lighting that will look as good as your marble counter tops, last as long as your hardwood floor and perform as well as your appliances. Stunning kitchen appropriate pendants, sconces and ceiling fixtures can all be found in Boyd Lighting's collection. Here are a few of our favorite ways Boyd lights the heart of the home. These two kitchen use the Archetype Pendant, designed by Michael Vanderbyl for Boyd Lighting. This extremely versatile drum pendant in textured bone white linen looks great in a variety of interior styles, and comes in three metal finish options and four sizes: 24", 28", 32", 42", and 48". This classic drum shade, a perennial best seller, features a bottom diffuser for a tailored look. 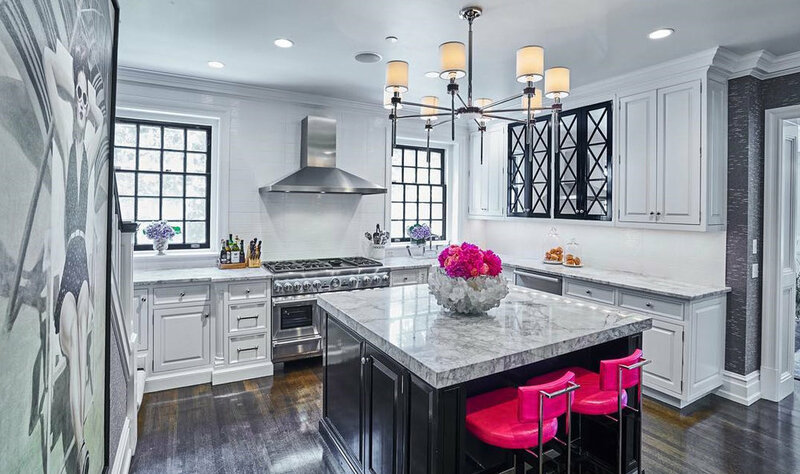 Chicago interior design firm, JamesThomas selected a trio of Soleil Petite Pendants for this bright kitchen. 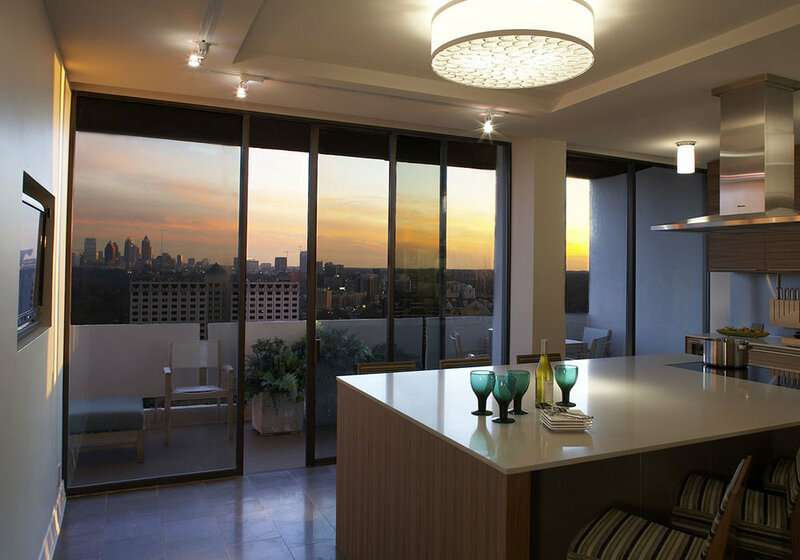 Designed by Jiun Ho for Boyd Lighting, the satin nickel finish of the pendants compliments the finish on the appliances. The tailored, deep hem (a signature look from Ho) brings in a classic feel. Also available in polished nickel and three copper finish options, the Soleil can go from classic to transitional to contemporary. The modern Cartesian Pendant is the perfect light fixture for anchoring a kitchen island. 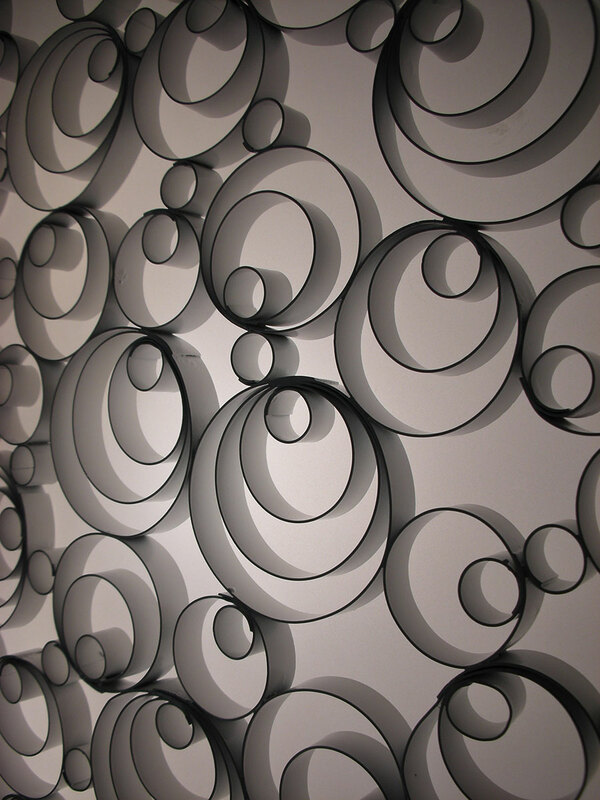 It comes in satin aluminum, gossamer aluminum or matte white powder coat, or it can be powder coated to match any interior. (Check out our 12 specialty powder coat colors!) Dimming is available. The Cartesian has twice been awarded the Best of NeoCon Gold Design Award. This kitchen by Carrie Long Interiors features the Cartesian Pendant. Photo by Beth Singer. This kitchen by Debra Butler Design Studio features the Cartesian Pendant. Unique in a kitchen, the Topanga I Chandelier 8-Arm is the focal point of this room by Fuller Interiors. Designed by Jamie Drake for Boyd Lighting, the Topanga can be configured in 96 possible combinations. With five shagreen collar options, three wood collar options, six metal finish options, and one fabric and two metal shade options, this pendant is so versatile that it could fit in any room. A 6-arm and two-tier version is also available. Kitchen photo by Dean Digital Imaging. This kitchen by Mark Williams Design Associates features the Catacaos Ceiling fixture in textured bone white linen. 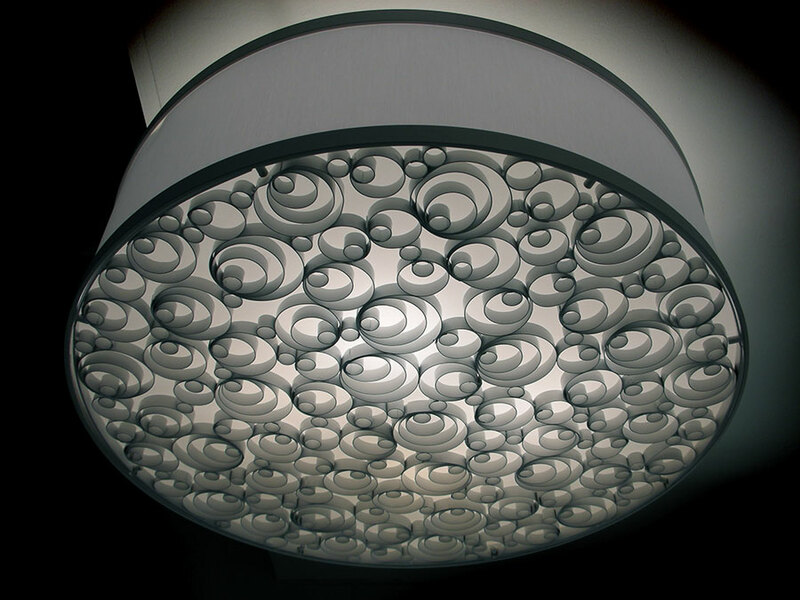 Designed by Federico Otero for Boyd Lighting, the Catacaos is a sophisticated update on the ancient South American handcrafted technique called Filigrana in which small metal pieces are combined to create a large spiral pattern. 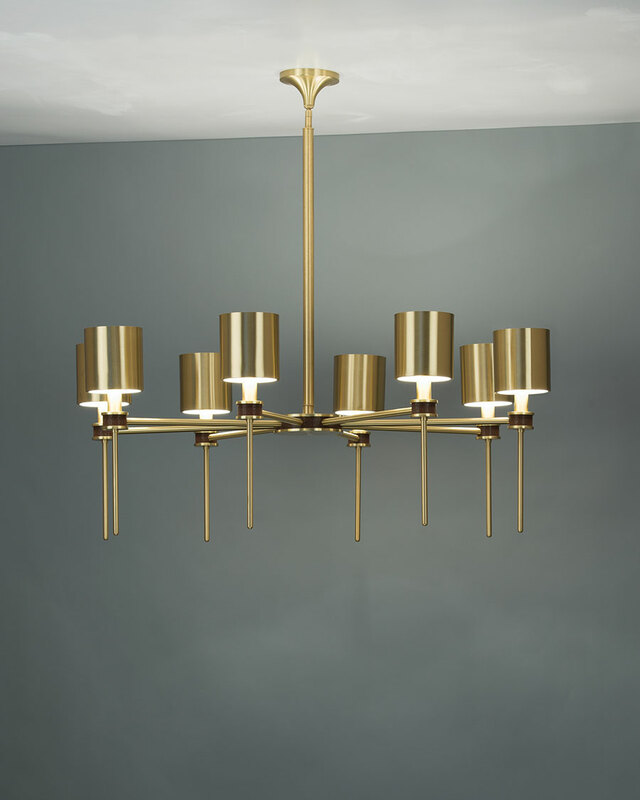 This fixture and its pendant cousin won the Best of Year award from Interior Design magazine. It is available in light or dark colorway options and two sizes: 24" or 30". 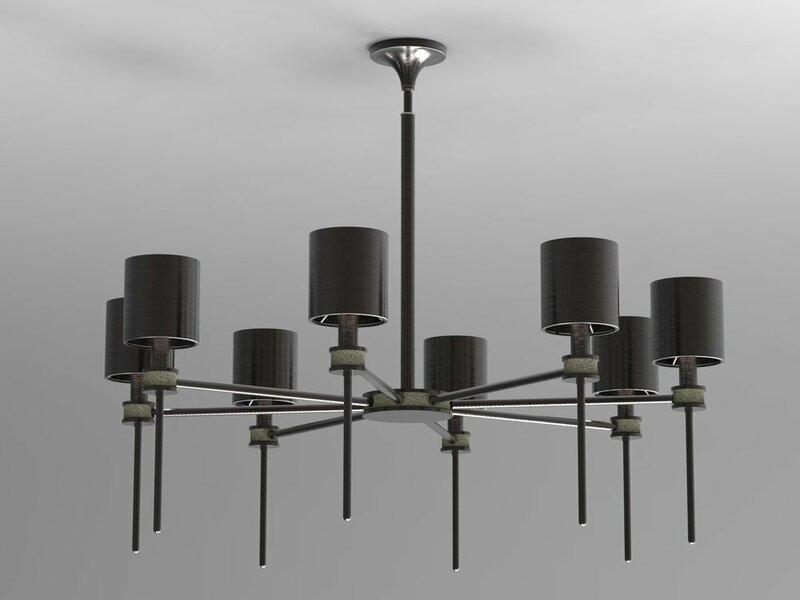 From modern to mid century kitchens, the Proteus Pendant is a fun and funky addition. Hung in multiples like in this kitchen, it provides a dramatic effect and becomes a focal point of the room. It is also great for small spaces. The Proteus is available in five metal finish options and three glass options. 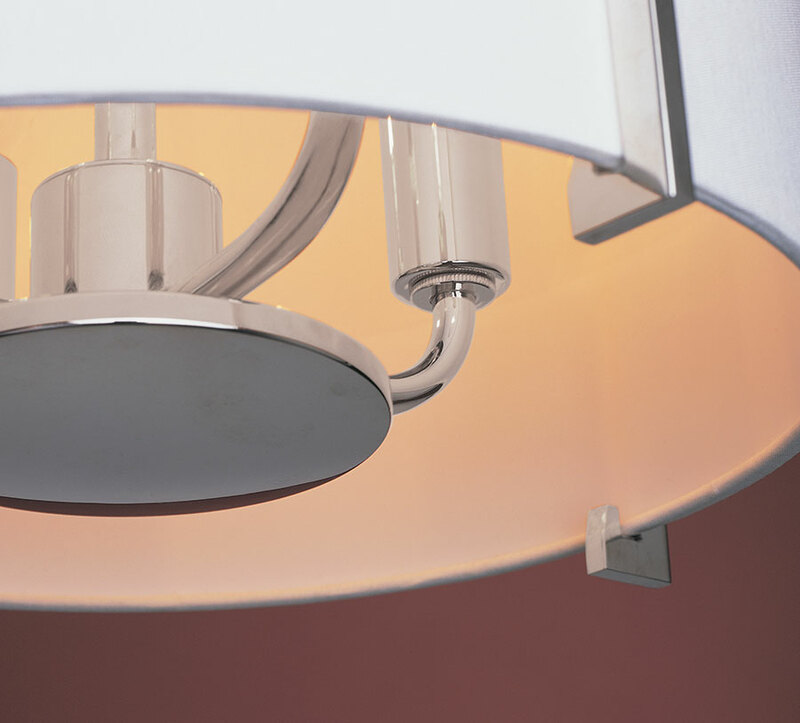 To see all of Boyd Lighting's fixtures, click here.